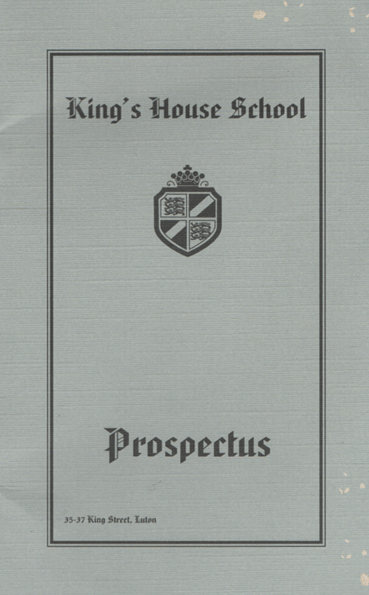 King’s House School has a rich history built upon years of heritage and strong principles. We begin our journey from 1891 onwards. By scrolling down, you will be able to gain a thorough understanding of the school's progression over the years. We conclude by giving a brief overview of our future aims. During the last decade of the 19th century and the first decade of the 20th, Luton transformed from a small market town to an industrial centre, a change begun in 1889, when the Borough Council and the Chamber of Commerce set up a new industries Committee to attract firms to add to the hat factories in the town. The lack of schools throughout the town concerned affluent families and the expanding business class. At this time, children from such families were usually taught the 'Three R's', French, piano and painting by a governess until they entered school at 8 or 11. Since 1885, Alice Southam had been a governess for the family of Richard Charker, an eminent local chemist. Her sisters Mabel and Mary taught the Charker children and the sisters' popularity meant their services were widely sought. Uniquely, as home education was the norm for everyone else, the Southam sisters, backed by their father and Richard Charker, opened a kindergarten in February 1889 next door to the Charker's home at King's House in King Street, next door to the church. As its' reputation spread, the Southam sisters took more rooms within the building to cater for the growing demand. By 1891, with the older children in the kindergarten approaching the age of 5, talk began of the kindergarten developing into a fully-fledged school. The Elementary Education Act passed in that same year meant a small grant towards elementary school fees became available to parents. To develop into a school educating children to age 11, qualified teachers were needed. Through the King Street Church, David Southam knew the Costin family whose daughter Elizabeth was a teacher and who, with a Miss Amy Eustace, tutored children in nearby Liverpool Road. It was agreed that Mabel Southam would run the kindergarten, Elizabeth Costin would become the school Principal with Alice Southam and Amy Eustace joining as teachers. King’s House School was founded in September 1891 at 35 King Street with the kindergarten at number 37. The school flourished during and after World War 1. In 1926, the school moved to a large detached property in Dunstable Road called "Moorlands" and as a result, the name of the school was changed to Moorlands. When Miss Spencer retired in 1953, Roy Whitlock became Principal. Within 5 years the school expanded and moved. In 1958 the school bought Leagrave Hall, formerly part of the Manor of Leagrave. The Manor had been inherited by Sir Beversham Filmer. The Filmer family owned the village of Leagrave until the death of Sir Robert Filmer in 1916. 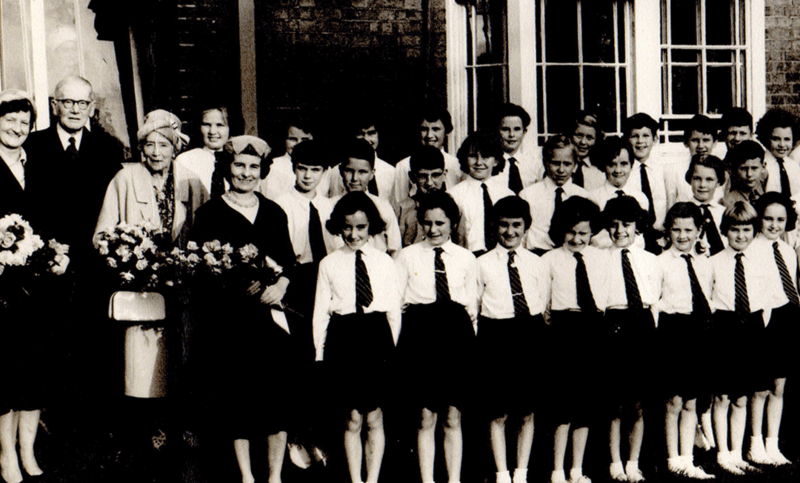 The school moved from Dunstable Road to Leagrave Hall in September 1958. In October 1960 a new school hall was built and during the following two decades, the school was further extended. Roy Whitlock retired in 1983. He was succeeded by Brian Parsons who further developed the school and the nursery. In 1992 Dr Andrew Cook was appointed as Principal and in 1994 the Filmer Trust acquired the school and oversaw further work on the main building. In 2011 the 5-11 section of the school was legally dissolved in advance of a Free School initiative the Filmer Trust were to co-sponsor. The Trust withdrew from the project and the school’s pre-school department reverted to its original name, King’s House School, relocating to a new building 200 yards away in High Street, Leagrave. Due to parental demand from those in the pre-school for the continuation of fee paying education and their desire for a Luton feeder school to the independent Bedford and St Albans secondary schools, it was resolved to repeat the decision made in 1891 to develop a new school from the foundations of the flourishing Nursery.